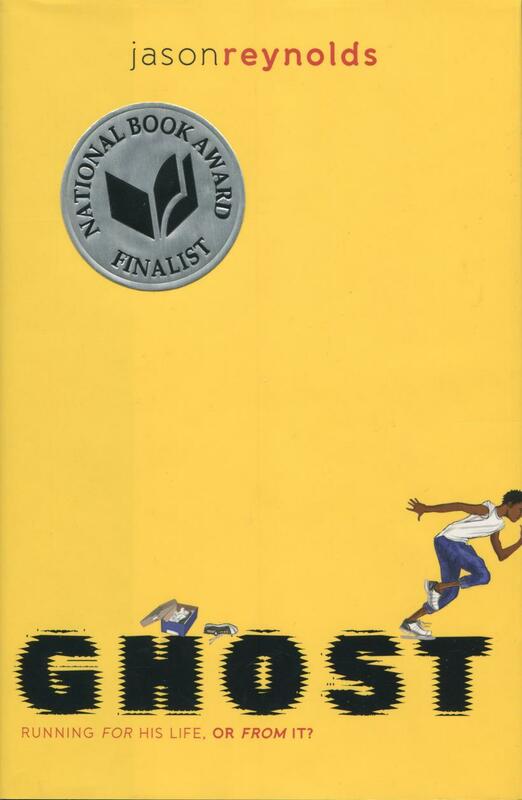 Jason Reynolds’s powerful novel Ghost was a National Book Award Finalist for Young People’s Literature. Running is all Ghost has ever known. But Ghost has been running for the wrong reasons—it all started with running away from his father, who, when Ghost was a very little boy, chased him and his mother with a loaded gun, aiming to kill. Since then, Ghost has been the one causing problems—and running away from them—until he meets Coach, an ex-Olympic Medalist who sees something in Ghost: crazy natural talent. If Ghost can stay on track, literally and figuratively, he could be the best sprinter in the city, but he’ll need to overcome his past to get there. Jason Reynolds is a New York Times bestselling author, a Newbery Award Honoree, a Printz Award Honoree, National Book Award Honoree, a Kirkus Award winner, a two time Walter Dean Myers Award winner, an NAACP Image Award Winner, and the recipient of multiple Coretta Scott King honors. Jason’s many works of fiction include When I Was the Greatest, Boy in the Black Suit, All American Boys (cowritten with Brendan Kiely), As Brave As You, For Every One, the Track series (Ghost, Patina, Sunny, and Lu), and Long Way Down, which received both a Newbery Honor and a Printz Honor. He lives in Washington, DC.